Briefs don’t come much better. 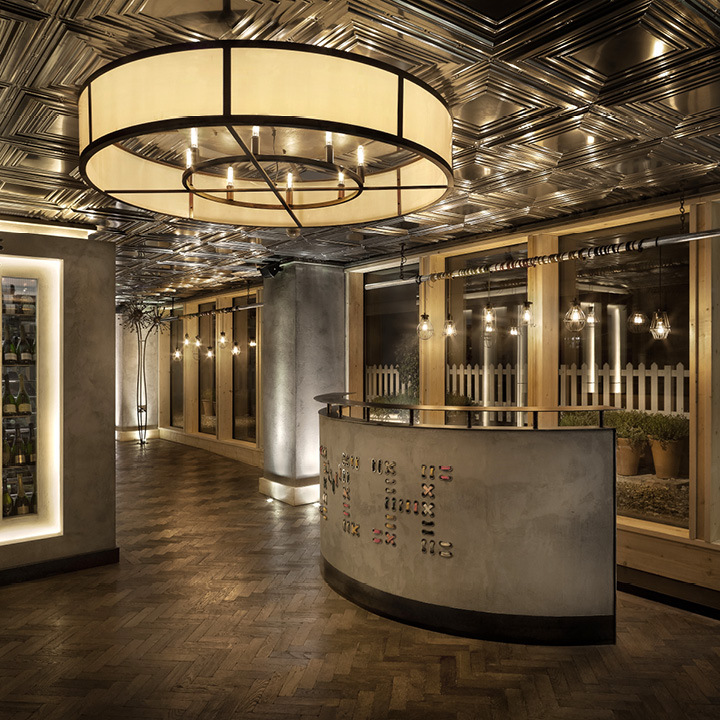 Create a ground-breaking fine dining concept that rips up convention and gives a fitting home for genius chef Aiden Byrne to do his thing, with the ultimate aim of giving Manchester its first Michelin star since 1974. No mean feat! We aimed high with this one with our ambition being to re-define fine dining and boy did we do that. 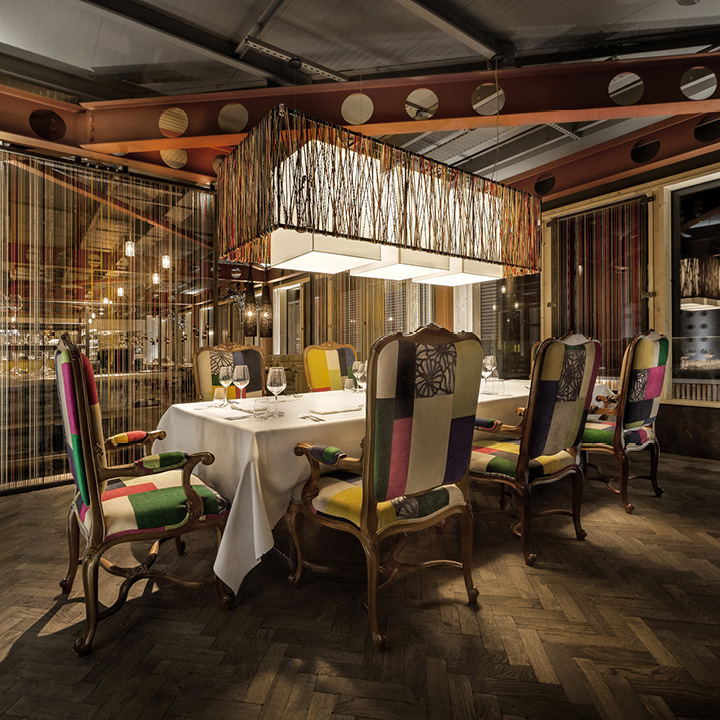 The design vision was entirely influenced by Manchester’s illustrious textile industry, combining post-industrial, concrete architectural features with colourful and textural fabrics. 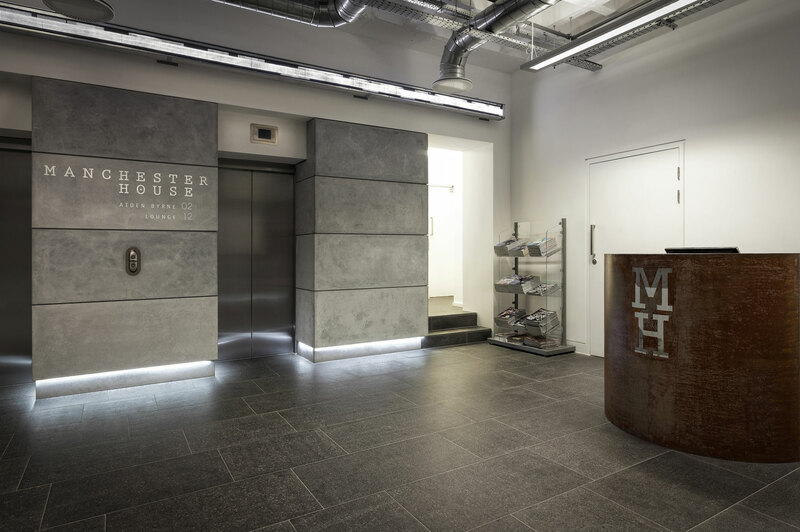 The crafted fabric design featured throughout the scheme provide delicacy, detail and comfort against a backdrop of stunning polished concrete and exposed metalwork. 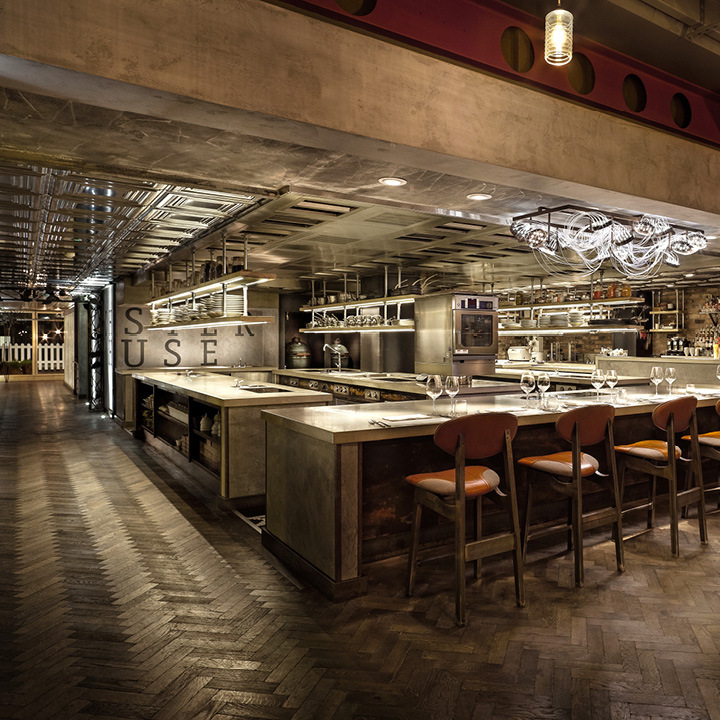 Manchester House has been the focus of a BBC documentary and is still in search of its elusive star, but after Aiden’s brief hiatus from the restaurant, he is back to with a bang again and at the helm of MCR!